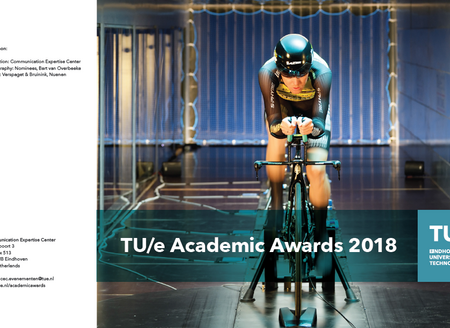 During the Acadamic Awards Ceremony, the TU/e pays tribute to the best graduation projects by presenting the annual TU/e Academic Awards. Also, the Marina van Damme grant is presented to a talented TU/e alumna. In 2018 MomenTUm, the academic celebration of the year, was organized for the first time. In it, the Dies Natalis, the presentation of the honorary doctorate, the Academic Awards, the presentation of the Marina van Damme Grant and the Bachelor's diploma ceremonies were merged into a festive day, consisting of one major ceremony and a large party. Everyone was welcome: students and employees, but also parents, friends, alumni and relations. This year MomenTUm takes place on Friday 27 September 2019 at 15.00 hrs. at the Forum of MetaForum building. Earlier at 13.00 hrs. the academic awards ceremony takes place with the announcement of the winners.. The exact location will be mentioned in due time. The winners will be honored in the MomenTUm ceremony at 15.00 hrs. Through its high-quality education and research, the TU/e contributes to the advancement of the technical sciences and to the development of engineering and the development of technological innovations. 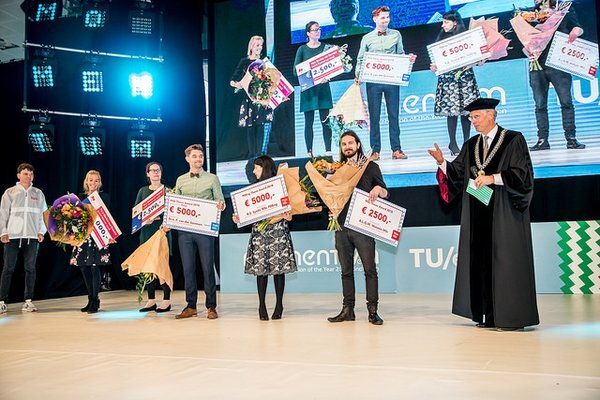 With the annual TU/e Academic Awards we celebrate the TU/e talents who produce the best MSc thesis, PDEng thesis and PhD thesis.